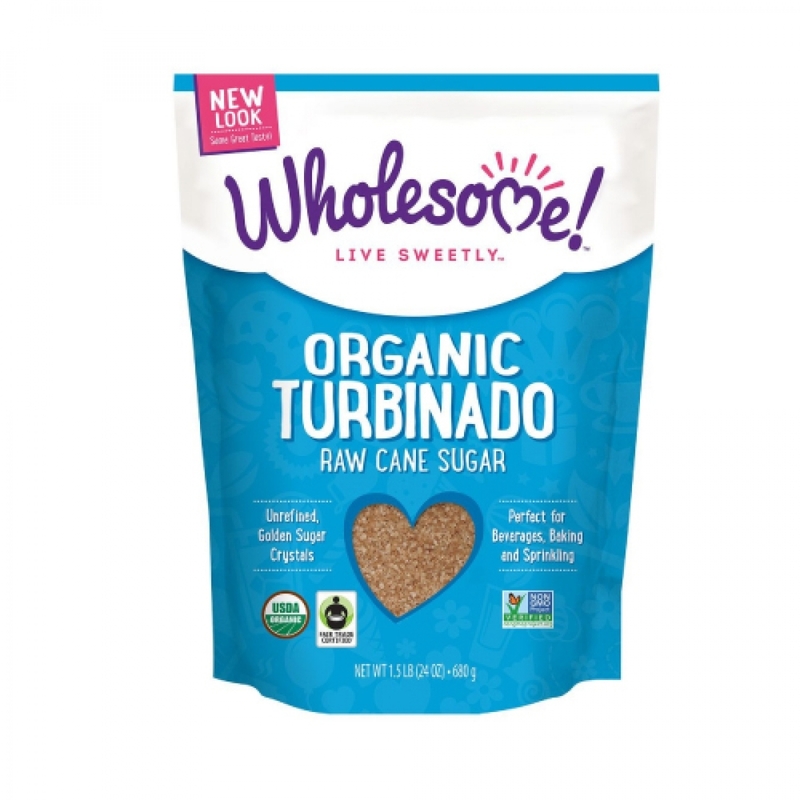 Wholesome Sweeteners Organic Raw Cane Sugar Turbinado is a golden-colored raw cane sugar with large sparkling crystals and a rich aroma. Organic turbinado is the ultimate crunchy topping for cakes, cookies, muffins, crumbles, pies, and creme brulee. It is naturally gluten-free, vegan, and kosher. Organic Turbinado Raw Cane Sugar.